The Pallars Sobirà region extends along the river Noguera Pallaresa. It is the fourth largest region of Catalonia, but has one of the lowest densities in the country, with four people per km2. In total there are about 6,000 inhabitants. In our region there is the largest lake in the Pyrenees, the Certascan and the highest peak in Catalonia, the Pica d’Estats . The Pallars Sobirà is mainly protected. 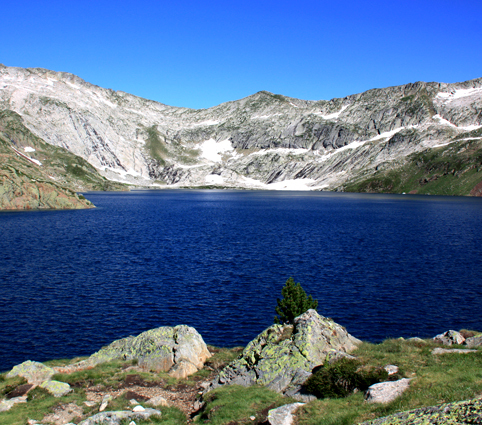 There are several areas PEIN (Plan for Areas of Natural Interest in Catalonia) National Park Aigüestortes and St. Maurici lake, the Natural Park of the High Pyrenees, Partial Nature Reserve Noguera Pallaresa – Collegats open spaces of the Natura 2000 xarxa, the Hunting Nature Reserve Boumort, etc. It is a great place to enjoy the tranquility and silence, surrounded by traditional activities. To enjoy skiing and the winter activities, we are very close to the ski and mountain station of TAVASCAN (where you can go skiing, Nordic skiing, snowboarding… in a very familiar environment). In our region there are also ski stations, like Espot and Port-Ainé. All three resorts also offer activities the rest of the year. – 4×4 tours and walking to lakes.